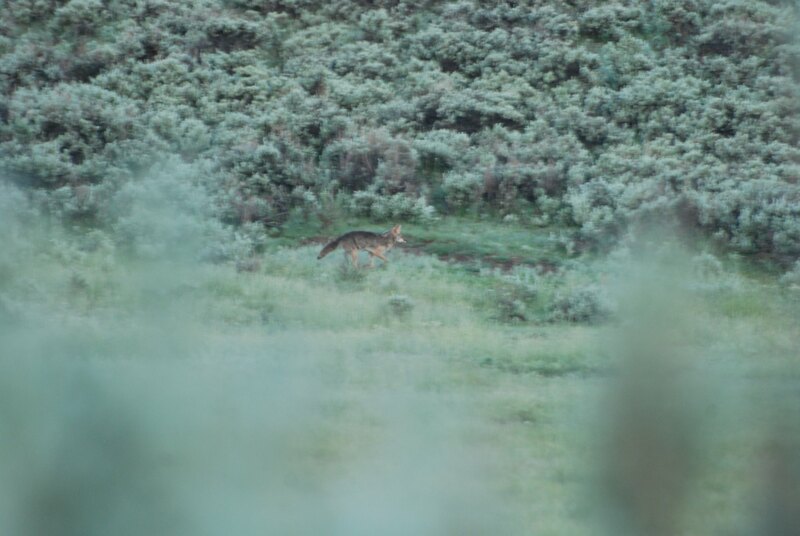 I finally saw the Sylvan Lake cross fox. It was very early in the AM and light wasn't good, but I got a couple shots. You actually found it. 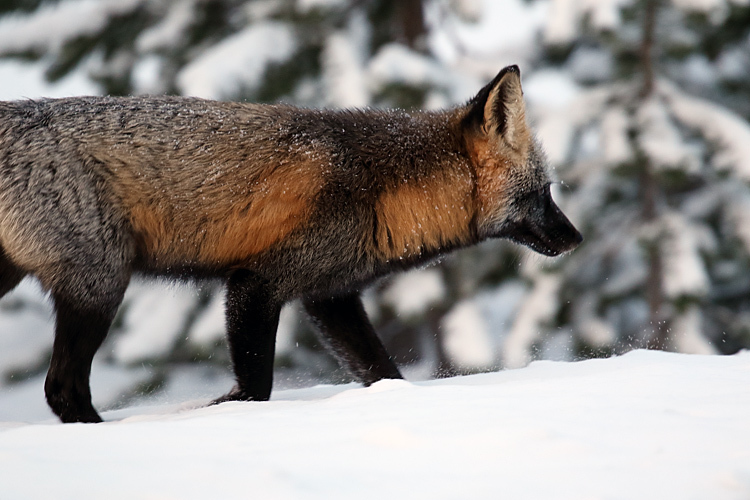 I've continued to drive out to Sylvan every trip in hopes of seeing this fox, but haven't had any luck yet. Nice work! 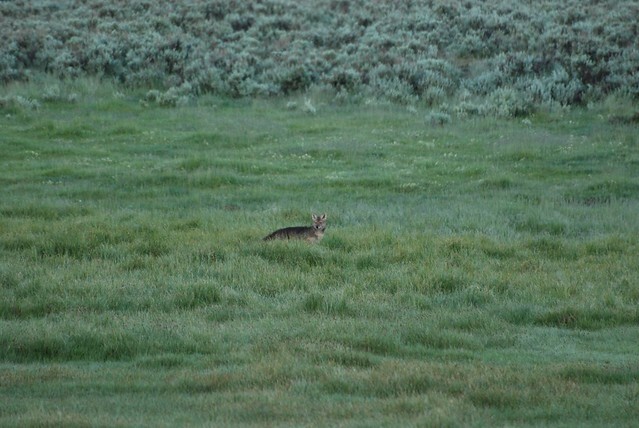 I have a picture somewhere that I took near Blacktail Plateau several years ago of what everyone called a cross fox. 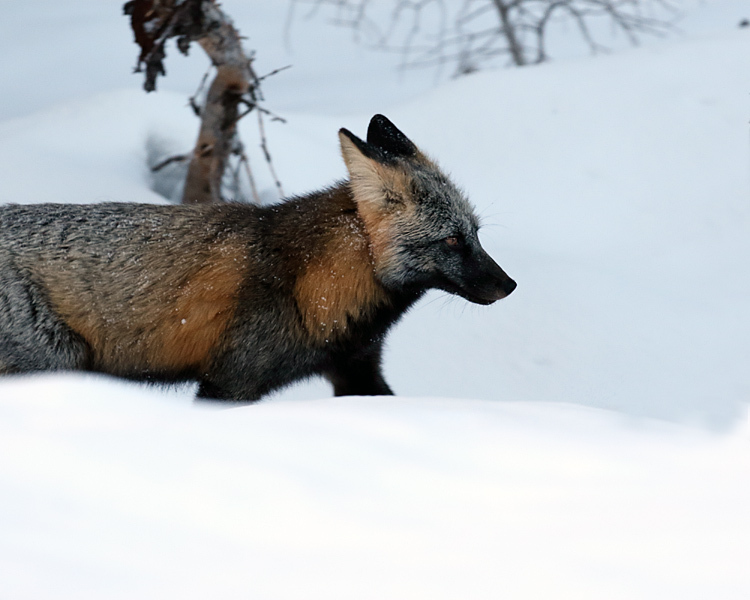 Your shots are much nicer and show the distinctive coloring. Nice Shots! Found the pictures. Taken Extremely low light and out of a moving vehicle. One of the few things I found on my fruitless October trip. Jim, I'd say yours is a coyote. It's back fur is slightly darker than normal, but that could be because it's dirty or wet. 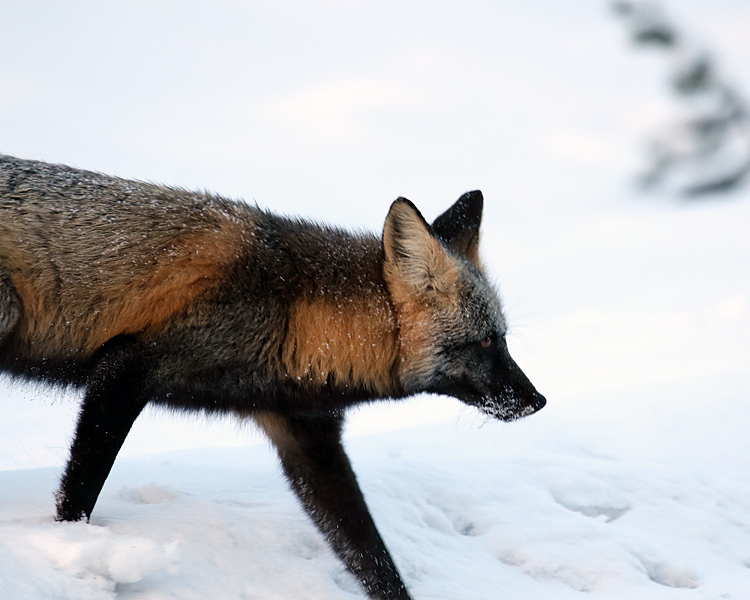 Not a fox though.